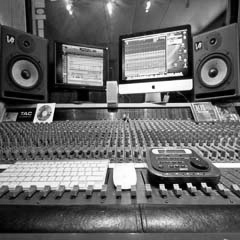 Dare Studios | Dare Studios - the best recording and rehearsal studio on Long Island! Hello… We are Dare Studios-Voted- The best rehearsal studio Long Island – 4 years in a row! Dare Studios has proudly played a role in the Long Island music circuit by serving local upcoming artists, national, and international acts, since 1986 and Voted- The best rehearsal studio Long Island – 4 years in a row!we We’ve been instrumental in helping musicians achieve their goals. We have been a home to upcoming bands, which have attained world wide notoriety. From weekend warrior bands to hall of fame legends we strive to provide the best equipment, an attentive and knowledgeable staff, as well as a clean and comfortable environment. Our Rehearsal studios are fully equipped with Gretsch drums, Mesa Boogie rectifiers, Mesa Boogie mark amps, Marshall jcm 800’s, Marshall jcm 2000’s, Roland Jc-120’s, Supro, and Backstar amps. Brand new pro line Ashdown bass heads and cabinets. All equipment is serviced regularly… Our professional grade Pa and monitor systems are equipped with Jbl and EAW speakers as well as crown power! They are loud and clear without feedback!! Also available for rental are cymbals, bass, guitars, and keyboard. The convenience of having fully equipped hourly rehearsal studios is an effective solution for bands trying to take their music to the next level.There is no need to lug your heavy gear to and from your home… there are no steps to deal with (we are ground level)…and there’s barely any time wasted setting up and breaking down. Just walk in, plug in and play! Some of the musicians who have graced our halls over the past 30 years include: Dream Theater, Anthony Cumia from Anthony and Opie, Joan Jett, members of The Ramones, Mariah Carey, The Weather Girls, members of the Billy Joel band, members of The Beach Boys, Craig Mack, Lynyrd Skynyrd, members of Deep Purple, The Fixx, Bow Wow Wow, Missing Persons, The Animals, and more. Our fully equipped studios and responsive staff assure you’ll have a productive session every time you visit with us.